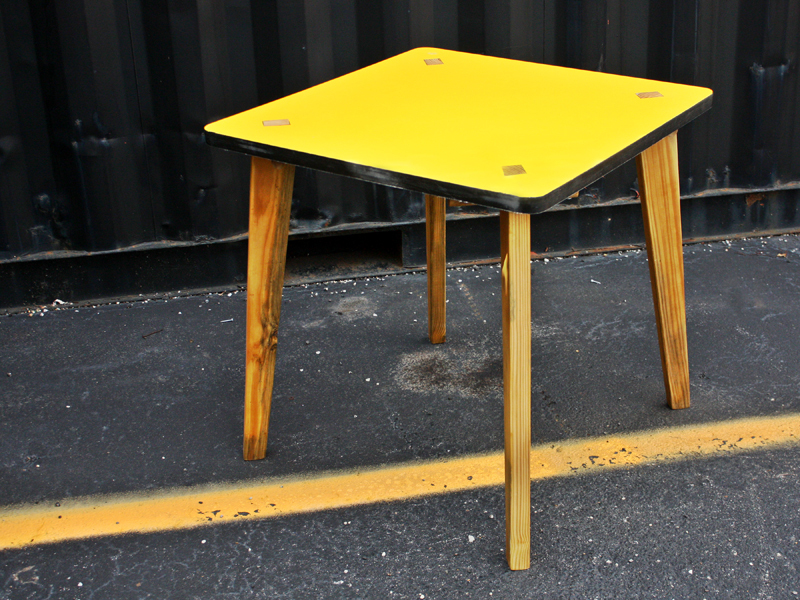 The original Breakdown table, with laminate top and removable 2x4 legs. 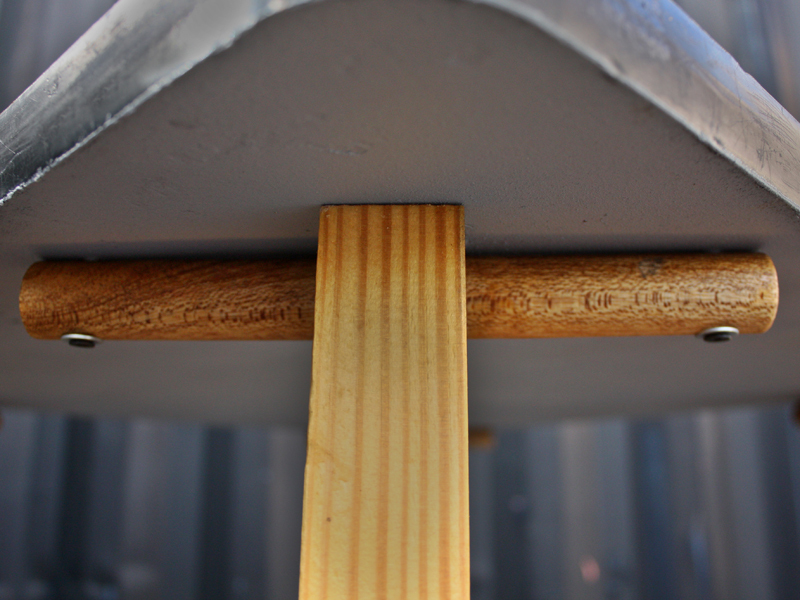 Dowel "ears" secure the leg to the table with screws and provide lateral stability. At its core, the Breakdown Table is a good design, with a straightforward structural scheme. I spent last Saturday, and a few early mornings this week fabricating a new top designed to address the deficiencies in the structure and expand the table's possible uses. 30"x 30" is a bit tight for 4, so I expanded the new top to 60"x 30" , theoretically fitting up to 6. Instead of chippy, cheap laminate, I used some scraps of solid maple shelving and walnut flooring leftover from a building project. The new hardwood is dense, heavy, and will wear like iron. Each piece of maple had 3 dadoes cut into the upper portion, each of which used to mate with a shelf. To flush out the surface, I inlaid strips of walnut. Each leg will now through-bolt to the table, using a thin brass machine bolt. The bolts will be a visible part of the surface, but I think the brass will play nicely off of the color the wood. This scheme will not be vulnerable to loosening screws, and will use wingnuts to make table assembly completely tool-free. I still have one or two more coats of lacquer and some waxing to do, and I will post pictures once the whole thing is set up, but for now, here's some pictures of my progress. Re-routed the grooves to clean them out of old glue and irregularities. Added a piece of plywood to the bottom to thicken it up to 1-1/4". Trimmed all the edges flush and square. Lotsa sanding . . .